Inspo-block? Get inspired by these global destinations from top wedding editors. he world is full of amazing places, but there are always certain destinations that speak to our hearts, minds, and souls a little bit more loudly than others. From some of the top wedding blog editors from around the globe, they are sharing their favorite memories and vacations in hopes of inspiring you to an adventure you might not have considered before! Nothing beats Venice, Italy. A Pittsburgh girl found the original city of bridges and fell in love. The best thing to do is just wander around (without a map) and get lost. You'll find all kinds of interesting and beautiful nooks and crannies. It is a bit of a tourist trap but you must ride a gondola! There is nothing like seeing Venice from the water! Lake Arrowhead is also know for its lake, forest, and mountains. While there, we went on the most amazing hike that was full of everything from woodsy areas to wide open spaces, some rock climbing, and more... all ending at the American Flag on top of a rock. One of our favorite things to do was at Lake Arrowhead Resort and Spa, eating at their hotel restaurant, Bin 189. The meal was amazing (especially dessert), and they had live music too. After dinner, guests gathered around the piano and all joined in singing. It was like something out of a movie and so much fun. If you find yourself in need of a domestic destination in the mountains, Lake Arrowhead should definitely be on you list. The resort is affordable, has lakeside views, its own little beach and is walking distance from downtown Arrowhead. If you prefer to visit in the winter, Big Bear Mountain is only 15 minutes away for skiing and snowboarding. It's the perfect escape! I love the laid back feel of this South Pacific paradise! Aqua blue waters, palm trees and culture that surprises you in the most amazing ways. Eat mahi mahi (amazing fish!) and Ika Mata (raw fish cooked in coconut cream) kumara chips, and of course, as many tropical fruit-based cocktails as you can find (Nautilus Resort does an amazing mojito complete with sugar cane swizzle stick)! The Punarei Cultural Tour on Aitutaki is the best adventure if you want to learn the "real" culture of Aitutaki. The tour takes you through a recreation of the original villages, creating your own lunch using traditional techniques all while learning from people passionate about restoring the island's original history. The country of Tanzania was indeed our holiday of a lifetime and the perfect honeymoon, encompassing adventure, romance, beach, culture, nature, great food, and more. From meeting the Maasai, going on safari, exploring the Serengeti, and relaxing on the island of Zanzibar alongside the Indian Ocean, our trip to Africa was everything we expected and more. The Big Island, Hawaii, is one of my very favorite places on earth. Driving across Saddle Road from Kona to Hilo and experiencing different climate zones along the way is a completely surreal experience. Longboard Lager from Kona Brewing is one of my favorite beers (I die when I find it in stores on the mainland). On the Fourth of July at the Mauna Lani Bay Hotel and Bungalows (where I had my first wedding), they do a traditional hula and a turtle release -- the hatchlings are raised at the hotel's ponds until they are old enough. It's an amazing experience to hear about the turtles and how they relate to the history of the island. And if you go snorkeling in the area shortly after, you may get to swim with the turtles that were just released! Enjoy the might of the Huka Falls (you can even do a jetboat ride there), see the Māori rock carvings at Mine Bay, tandem skydive over the lake, get fish and chips from The Fish Box and watch the sun set at Rainbow Point, take a swim in the lake (which is actually just a super volcano), enjoy the views of Mount Ruapehu (which for the film fans, it's Mount Doom in Lord of the Rings), and if you're feeling extra fit, do the Mount Tongariro crossing. There is nothing more magical than the way the light hits the hills and lakes in the northern region of England called The Lake District. During a difficult personal year of loss and hardship, it was a healing place filled with peace for me, and it tops my most favorite places list. Windy roads, sheep on the hillside, and stony buildings, it's everything idyllic to make any nature and Anglophile's soul happy. Home to Beatrix Potter, it absolutely made my childhood's heart smile big! It was no wonder she moved here away from the city; she was entranced by the magic here, and anyone who visits will experience it just the same! It's an island paradise that is rich in both culture and natural beauty. 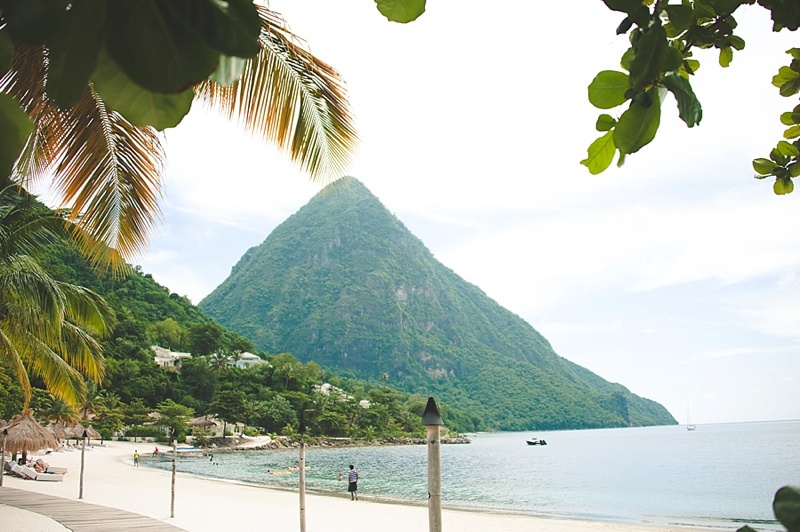 From Friday night fish fry street parties to sailing the tranquil waters and snorkeling at the foot of the majestic Pitons, there's no lack of things to do in St. Lucia. It's a luxurious adventure with delicious food at every turn. Try Roti in Rodney Bay, Curry Goat in Gros Islet, and Fried Fish with Root Veggies in Soufrière. Honestly, Turkey was a big surprise to me. My husband and I chose an upscale cruise and chose the route that went through Greece and Turkey because… well, honestly, we wanted to see Greece. But, Turkey had so much diversity and history that it ended up being a favorite of ours! Ephesus is steeped in history - as in ancient, Biblical history. No matter your beliefs, a trip through the ruins is humbling and interesting. There is a more modern town alongside of the ruins, yet the old town is exactly where I wanted to explore (and take lovely photos!). In contrast, Bodrum is a town bustling with energy. From fresh caught fish being sold seaside to riding a gullet boat (so romantic and relaxing! ), this town has a quintessential working waterside along with history to match (and crystal clear waters). When most people think of Disneyland, they think of a place for little kids and families. But Disneyland is my perfect spot for a honeymoon! Disney reminds us of a simpler care-free time; this combined with Disney's first class quality and service makes Disneyland an ideal honeymoon location. And if you think Disneyland can't be romantic - think again. Enjoy a couples' treatment at the Mandara Spa and the impressive Chef's Counter four course meal and wine pairing at Napa Rose restaurant, both at Disney's Grand Californian Hotel & Spa (pro tip - you can take advantage of both without being a guest at that hotel). By day, you can explore Disneyland and Disney California Adventure parks or sip on cocktails while lounging by the hotel's pool.